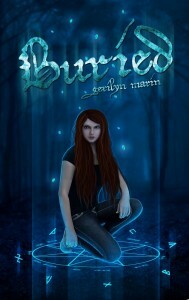 to Gerilyn Marin on her new release ~ Buried. Like every resident of Fane’s Cove, Cadence McKenna knows her town is, well, odd. And yet, they’re accustomed to the near-daily supernatural happenings- so accustomed, in fact, that when Gray Addison moves to town and stays, she is shocked to find that she’s the only one who insists that there must be something strange about him. With her life-long- if minor- psychic sensitivity handed down from her grandmother, she knows that what she feels isn’t simple paranoia. After all, how many normal guys pay no mind to random poltergeist activity occurring right in front of them? Cadence can’t blame anyone for wanting to ignore that there might be more to his presence there- perhaps if he is a normal guy, it’s just the first sign that whatever it is about the town that drives visitors away is fading. She might have even grudgingly let it go, but then she sees Gray acting very suspiciously and knows that she can’t dismiss her feelings until she understands why he’s in Fane’s Cove. Even if it means sticking her neck out by pretending to get close to him . . . and learning more about her town’s history than anyone would ever want to know. A life-long resident of New York, Gerilyn Marin studied art, gymnastics and Tae Kwon Do as a teenager. She has a fascination with ancient civilizations and the mysteries of human origins to which she must feed a steady consumption of interesting documentaries or else it will pick fights with her creative flow. 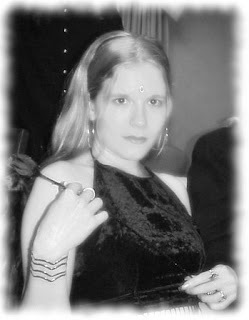 After a brief stint living in Manhattan’s infamous Greenwich Village in her late teens, she returned to the same small town where she grew up and lives there now with her husband, three boys and newly arrived baby girl.